In episode 1 of The Allergy Relievers, you will meet the doctors, Dr. Ian Wahl and Dr. Aaron Wahl. 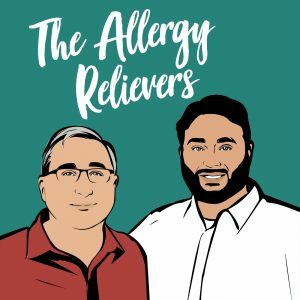 You will learn about allergy relief, their story, and how they became holistic allergist in st louis to help people with their allergies. If you need help with spring allergies, need an allergist near me, an allergist in Chesterfield, or an allergist in St. Louis you should check out our podcasts. As the Yellow Emperor said 3000 years ago, “The inferior physician merely treats, the superior physician also teaches”. The more educated the public is about the benefits of AAT’s successful, natural solutions to allergies and sensitivities, the more healthy our world becomes.